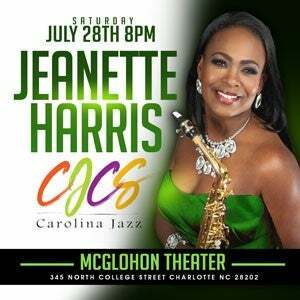 Jeanette Harris is the scintillating saxtress of smooth jazz. This lady understands that energetic and captivating performances matched with uplifting and inspiring vibrations in the music are the solid platinum recipe for success. Fans already recognize her for her wonderful cover of Stevie Wonder’s “All I Do,” which hit Billboard’s smooth jazz singles chart from her previous album, Saxified. Classically trained in both sax and piano, a graduate of Boston’s famed Berklee College of Music, and the saxophonist for the late, great Teena Marie’s final year of touring, Jeanette has weathered the fiercest challenges to bring the world her own brand of soulful healing vibes. That baptism awaits in her fourth CD, Summer Rain, on which Jeanette had a hand in writing all of the selections except her lovely cover of the Luther Vandross classic “Here and Now.” Its 11 sunny songs wrap the listener in the glow of fun love grooves and sweet romance.